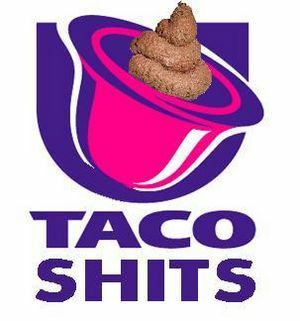 SURGEON GENERAL'S WARNING: Consuming Taco Bell by ANYONE may result in rectal injury, premature turds, explosive diarrhea and/or stigmata.Women who are or think they may be pregnant should not touch, smell, or look at any item served at Taco Bell as instantaneous miscarriage may occur. 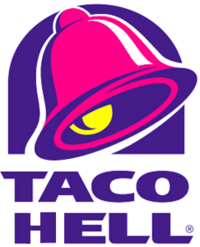 For the religious among us who choose to believe lies, the "questionable parody" of this website called Wikipedia have an article about Taco Hell. This page was last edited on 27 July 2011, at 23:51.